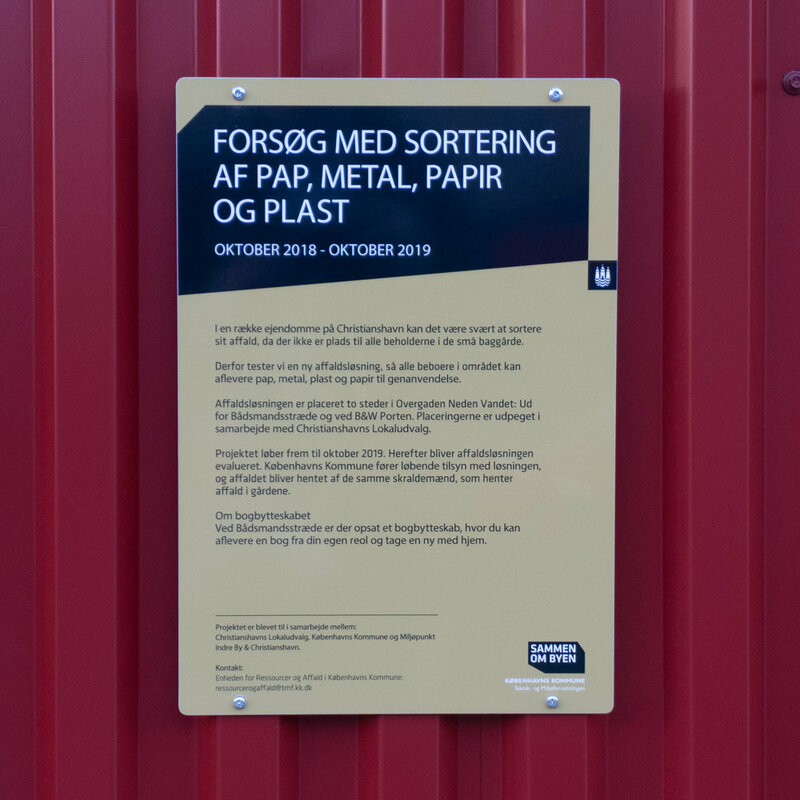 Since a post here back on 6 October on the new trial waste recycle stations in Christianshavn there has been a development …. 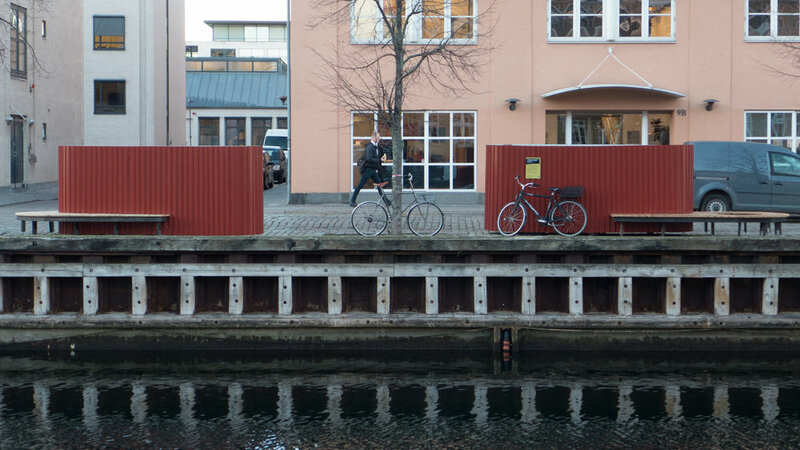 another station and with another three bins has appeared on the quay of Overgaden Neden Vandet. It is similar to its companion, three metres or so away, with dark red metal cladding and a beguiling wooden seat, but it is not an exact clone … the slots are different and the labels showing what waste goes where have been shuffled around. The paranoid think computers will take over the world and dispense with the people who made them but it would be ironic if we are watching and worrying about the wrong thing … now there are two on the canal side will there be shenanigans at night and a gaggle of baby waste bins soon? The one at the far end of the quay, with the books and the propaganda must be the ringleader but it's when the computers put their waste straight into the recycle bins that we have to worry. They must be watched.